Database Systems Corp. (DSC) has been providing computer software and systems since 1978. DSC has been focused on technology for the telecommunications and call center industry. Our modern solutions range from computer telephony software to call center phone systems and services including IVR and voice broadcasting. DSC provides our clients with simple to complex call survey applications. These solutions are developed using our own Interactive Voice Response (IVR) software. Inbound phone surveys can be processed using this highly adaptable application. Outbound telephone surveys can likewise be initiated by delivering telephone survey calls to potential responders. Our outbound dialers contact survey prospects and play an introductory greeting message. The potential telephone survey respondent is given several options to select from using an IVR prompting system. One of the options is to take this survey. Others may include the option to leave a voice message or talk with one of your representatives. Finally the respondent is given an option to simply decline to participate in the telephone survey. Telephone surveys can be programmed to accept phone key responses or can simply have their responses recorded for transcription or analysis. Contact DSC to learn more about our complete telephone survey technology and outsourcing services. Our automated telephone survey phone system and application software can be customized to meet the complex requirements of your organizational surveys. The professional staff at DSC can develop your telephon surveys in a timely and economic fashion. If you wish to create your own automated surveys, DSC provides all of the training and tools required to accomplish this task. The following are just a few of the features of our telephone survey software and systems. 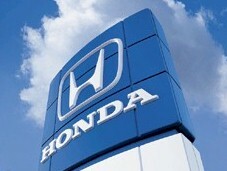 Honda Corporation uses our telephone survey phone systems and service to process calls from its employees who are unable to report to work. A full script allows the employees to answer survey questions relating to missed work schedules. Reports are provided to management in a timely fashion. DSC has designed an economical and full featured IVR phone system that is ideally suited for performing automated telephone surveys. This phone system features both inbound and outbound operations and includes our award winning IVR software that leads you step by step through the design and development of your IVR telephone surveys. This entry level phone system supports analog phone lines and is called the WIZARD system. This 4 line IVR phone system includes a simple setup tool or comes optionally with our IVR Software development toolkit that lets you develop more complex telephone surveys. If your telephone survey audience is large and your calling campaign requires additional phone lines, our PACER IVR Phone system can be used in environments where hundreds to thousands of digital phone lines are available. Contact DSC to learn more about our phone systems and IVR survey hosting services.